Speak 1-1 with our expert and get a response within 1 working day. Pack up China&apos;s profound history with Thialand&apos;s delightfulness, this 15-day China and Thailand tour introduces you to the major highlights of China and relax yourself with some free days on the beach. Welcome to China! You will meet up with your private China tour guide upon arrival at Beijing Capital International Airport. Transfer to hotel and relax. To ease from jetlag, we&apos;d suggest you flight in during daytime as you will have much time to adjust and relax. The first stop of today will be the Tian&apos;anmen Square, where you will get a close up at the portrait of Chairman Mao. The square is also the entrace of the Forbidden City. Don&apos;t waste your time waiting in the line. 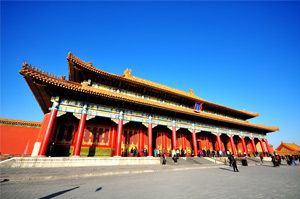 Today you will enter the Forbidden City with your insider tour guide who is an expert of the royal palace. You will walk through this massive site learning about the stories behind. Have lunch at a local restaurant. Your tour guide will take you up the top of Jingshan Mountain in Jingshan Park and you will watch the sunset of the Forbidden City. You will hit the road early in the morning as to beat the big crowds. 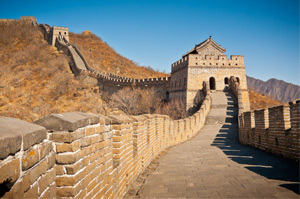 Arrive at the Mutianyu Section of the Great Wall, enjoy a cable car ride up to the top. Go for a gentle hike along the backbone of the mountain. Have a simple lunch after the visit. In the afternoon, drive back to the city and visit the Temple of Heaven where the royal families took as an alter to worship the heaven. After breakfast, have some free time in the city. Fly to Shanghai and free at leisure for the rest of today. As fast-moving as it is, Shanghai has a lot to share. Today you will firstly visit the Shanghai Urban Planning Exhibition Hall to learn about how Shanghai was built. And the visit Yuyuan Garden. Taste some local cuisine for lunch. Walk in the Former French Concession while your tour guide tells you some interesting stories back in the days. Admire the city in lights after nightfall in The Bund along the Huangpu River. 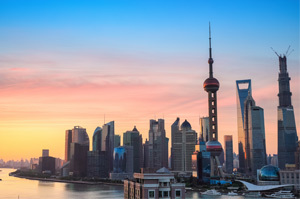 Enjoy a whole day free at leisure in Shanghai. Get some great deals in the malls around the People&apos;s Square. If you are interesting in antiques, remember to check out Dongtai Road Antique Street. Thailand is known as the Land of Smile for its friendly people, beautiful landscape and various experiences. Fly to Bangkok from Shanghai and get yourself relaxed in this charming city. 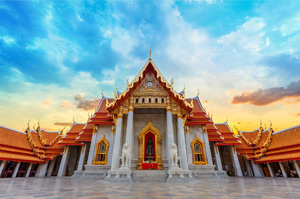 Sense Bangkok&apos;s passion with an insightful visit to the Grand Palace and the Temple of Emerald Buddha, which will unveil the history and Buddhism cultures. Later, visit the National Museum and Jim Thompson House. 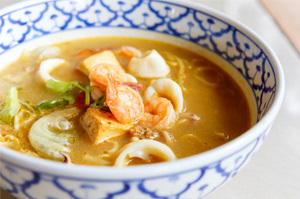 Lunch will be served at a local restaurant with authentic Thai taste. Take a flight to Chiang Mai and spend some free time in this peaceful place. Thai people think natural ingredients would help them better understand and approach to long life both physically and mentally. And today you will learn a thing or two about how Thai people cook at a Cooking Class at Thai Orchid Cookery School. Lunch is included. In the afternoon, take visits at Wat Prahat Doi Suthep and at night you will have some fun at Chiang Mai Night Bazaar. 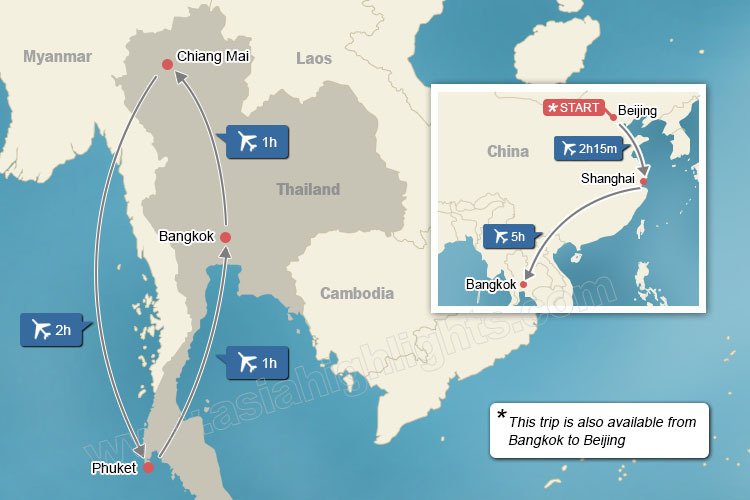 Have some free time in Chiang Mai and take a flight to Phuket. Check in at the hotel and enjoy a whole free day on the beach. Enjoy yourself on the beautiful beach of Phuket. Have some free time before the flight to Bangkok. Check in and have some time shopping or leisure. Have some free time in Bangkok before the flight back home. Hope to see you again soon! Travelers may apply Visa-On-Arrival at both airports of Bangkok. The fee is THB1,000 (Thai Bhat in cash only) with 2 passport-size photos. It is fairly easy to extend your trip to the neighboring countries of Thailand. Vietnam for profound history and fascinating landscape and Cambodia for the splendid Angkor Wat. Rearrange this itinerary and you may stretch out to Chiang Rai and its rolling mountains where Karen people and other ethnic groups live. Feel free to tell us your requirements and interests, and we will be happy to help you arrange a trip with our professional knowledge and experience. Step 1: Submit your name, email address and traveling dates for the tour. The price may vary according to the location of your hotel. Step 2: Choose to make payment via PayPal and your request will be listed as our top priority. We guarantee a 100% refund if you are not satisfied. Step 3: Receive a reply within 24 hours. The tour will be tailor-made to meet your requirements and the booking confirmed. Travel insurance is not included. We carefully selected some insurance providers from your region that give you the best value for money. Click here to go to the travel insurance page.